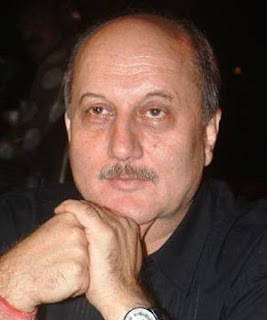 Anupam Kher made his entry into movies with Apmaan (1982). His performance in his second movie Saaransh (1984) as a man who has lost his son, received acclaim and a Filmfare Best Actor Award. In Subhash Ghai’s Karma (1986) he played the evil Dr.Dang. He worked in some of the biggest hits in the 80s like Tezaab (1988), Tridev (1989), Ram Lakhan (1989) and Parinda (1989). He gave a powerful performance in Mahesh Bhatt’s Daddy (1989) as an alcoholic and about his relationship with his daughter. It won him the Filmfare Critics Award for Best Performance as well as a Nation Film Award – Special Jury Award. Filmfare Best Comedian Award for his portrayal of Shah Rukh Khan’s father in Dilwale Dulhaniya Le Jayenge (1995). His other movies include Kuch Kuch Hota Hai (1998), Kya Kehna (2000) and Refugee (2000). He worked in international projects like Gurinder Chaddha’s Bend It Like Beckham (2002) and Pride and Prejudice (2004). His performance was considered brilliant in Maine Gandhi Ko Nahin Mara (2005) and he took home another Nation Film Award – Special Jury Award. In 2008, he played a police officer which told the story of his struggle in capturing a man who threatens that he has planted bombs around the city. He has nearly twenty five movies slated for release in 2009 like Carry on Pandu, Allah Ke Bandhay, Naughty at Forty and Rajdhani Express. Padma Shri Awarded by the Govt. Of India in the year 2004. He has also been awarded two times National film award- Special Jury award for Daddy (1989) and Maine Gandhi Ko Nahi Maara (2005).